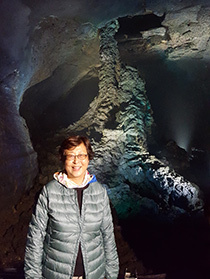 Re-appearing on the world's travel radars, South Korea has emerged from history as a dynamic destination full of spirit and surprises. 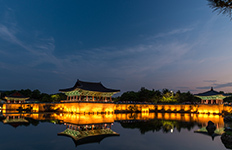 Enchanting travellers with temples full of mystique, markets brimming with divine handicrafts and some of the most underrated cuisine in the world - isn't it about time you surrendered to South Korea's charms. Serene temples, picture-perfect mountains, unspoiled fishing ports and a visit to the demilatarised zone all make up this road less travelled journey. See South Korea’s history up close, from the 600-year-old Bukchon Hanok village to a piece of more recent history at the Demilitarised Zone, spend a couple of days soaking up the soul of Seoul! This buzzing city has reshaped itself into a culture-filled design-centric capital worth exploring. 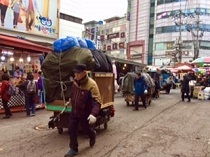 Shop for bargains at the traditional markets in the port town of Busan before relaxing on the holiday isle of Jeju – and when you’ve had enough of your downtime there are activities galore to choose from scuba diving, hiking or museum visits. 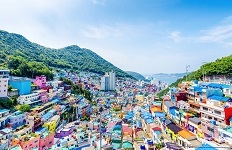 From the metropolitan city of Seoul to the colourful Busan, this 8-day itinerary will take you on a journey through the history and wonders of South Korea. On this eight-day trip, you’ll see the highlights in and around Seoul plus visit folk villages, unique Korean temples, and the bustling markets of Busan. 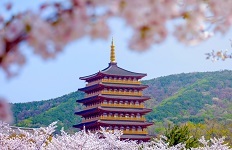 Discover the colourful scenery and World Heritage sites of South Korea and spend a night at a traditional Korean temple to immerse yourself within this magnificent culture. 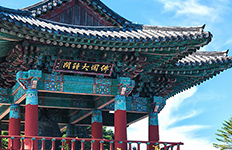 See South Korea’s history up close, from the 600-year-old Bukchon Hanok village to a piece of more recent history at the Demilitarised Zone, spend a couple of days soaking up the soul of Seoul!